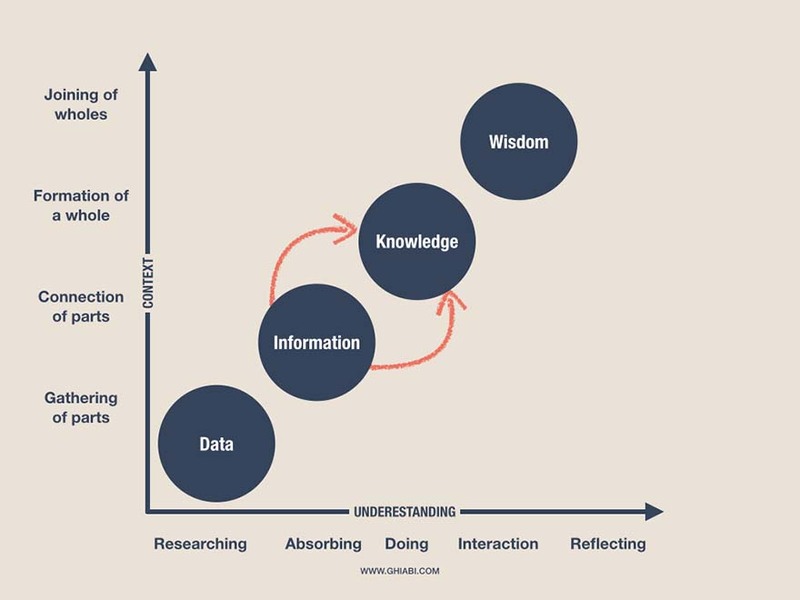 If you ask any corporate c-executive or high end consultant “what drives a business?”, chances are the answers you get have all one word in common: “information”. But now that there are huge information sharing tools like creative commons, wikipedia, and basically the whole internet, differentiating a business through information sounds not like a good idea. And more over I have to ask, where does this idea take us? It was reading one of the Deloitte’s brochures that gave me the idea of writing this article. In the brochure, not only Deloitte —the largest professional services network in the world, suggested that organizations should differentiate themselves by having more information, they literally used the phrase “Information is power” as a heading. Now, I don’t say not having information drives any organization to growth, but just having the information and more importantly not sharing it with others is not also a good solution to growth. One of my friends has repeatedly told me NOT to share information with colleagues because this will give me competition in the subject-matter. He indicated that if the team lead wants to select a particular person for a task, I might be passed over for this project in favor of a colleague, who may have learned the subject-matter originally from me. If our leaders and corporate managers assume that information and power is equal, they encourage everyone in the company to not to share anything as “you may lose your power”. Giving we are social animals and we live in a era that sharing is fast, almost free of charge and unpreventable, we all just need to accept the fact that whether we share the information or not, people and our competitors are going to find out. from. The greater the understanding of a subject, the more experiences can be weaved into new knowledge by absorbing, doing, interacting, and reflecting. Thus, understanding is a continuum from data to information to knowledge to wisdom. Data is generated through research, creation, gathering, and discovery. Information has context. Data is turned into information by organizing it so one can easily draw conclusions. Data is also turned into information by “presenting” it, such as expressing it through visual or auditory means. Knowledge has the complexity of experience, which comes about by seeing it from different perspectives. Information is static, but knowledge is dynamic as it lives within us. Wisdom is the ultimate level of understanding. As with knowledge, wisdom operates within us. We can share our experiences that create the building blocks for wisdom, however, it needs to be communicated with even more understanding of the personal contexts of the audience than with knowledge sharing. Often, the distinctions between data, information, knowledge, and wisdom are not very discrete, thus the distinctions between each term may seem more like shades of gray, rather than black and white (Shedroff, 2001). Data and information deal with the past. They are based on the gathering of facts and adding context. Knowledge deals with the present. It lives within us and enables us to perform. However, when we gain wisdom, we start dealing with the future. We are then able to envision and design for what will be rather than for what is or was. As mentioned above, knowledge is a direct result of putting information in to the field, and I think that’s the true power. Organizations should share the information as it is their duty to share with those who they care about such as their employees, customers and communities and also leverage the knowledge of putting such information in action as their differentiation factor. All in all, it seems that the information era and various ways of technology connecting everyone and everything, shifts the differentiation factor for organizations and professionals from information to knowledge. It means, not only it is our duty to share information, it is not even profitable to withhold information since people and even our competitors will find out one way or another. What is valuable now, is for sure the knowledge. Giving the development of knowledge sharing tools, I also anticipate there will be another shift from knowledge to wisdom. And then, the only thing that matters the most will be the wisdom organization, groups of people and individuals will have in hand. Talk back, what do you think will be the next step for DIKW sharing? What are the challenges we face if and when the game changes? Share your thoughts, ideas, inspirations, challenges, and solutions on sharing and differentiating through information and knowledge.